The Daywalker joins Funko's POP! Vinyl Figure line! This Previews Exclusive Pop! Vinyl Figure features the infamous hybrid vampire hunter with his iconic sunglasses, black armor, and deadly sword. 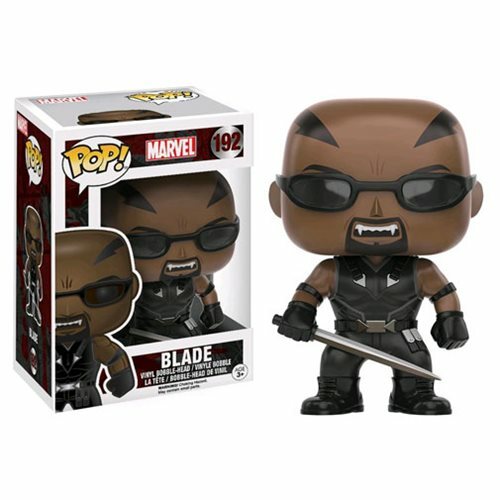 This Marvel Blade Pop! Vinyl Figure - Previews Exclusive stands 3 3/4-inches tall and comes packaged in window box packaging. Ages 3 and up.